It’s estimated that one in eight drivers doesn’t carry car insurance, which can spell big trouble for injury victims in the event of a crash. If the driver responsible for a collision doesn’t have insurance, who pays for medical bills and property damage? If you’re hurt in a Wisconsin crash caused by an uninsured or underinsured driver, one of the most important steps you can take is to consult with a knowledgeable attorney. The Madison personal injury lawyers at Boller & Vaughan are dedicated to helping injury victims recover the financial security they need to move forward with their lives. Please call us today at 608-268-0268 to arrange your free consultation or contact us online to tell us your story now. Additionally, this liability insurance must include uninsured motorist coverage with a minimum limit of $25,000 for bodily injury or death of one person and $50,000 for bodily injury or death of two or more people. Wisconsin does allow some exceptions—or what the state terms “limited situations”—in which alternatives to traditional liability insurance are acceptable. These exceptions include a bond from an insurance company licensed to do business in Wisconsin or a cash deposit of $60,000 posted with the Wisconsin Department of Transportation (WisDOT). For additional details about the state’s insurance requirements, see WisDOT’s Proof of Insurance page. If you’re hurt in an accident caused by a driver with limited insurance or no insurance, uninsured motorist coverage (UM) and underinsured motorist coverage (UIM) provide reasonable lines of defense. Incidentally, UIM is not required by Wisconsin, but it can increase the bodily injury protection available to you and other people in your car. Although drivers who fail to meet the state’s mandatory auto insurance minimums may be fined up to $500, many Wisconsin drivers continue to hit the road without appropriate coverage. In 2017, uninsured drivers were involved in more than 18,000 crashes in Wisconsin. 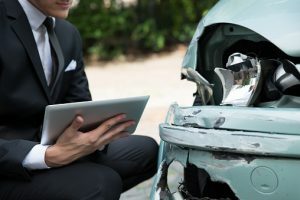 Wisconsin’s Safety Responsibility Law incentivizes drivers to carry liability insurance or “otherwise satisfy crash damages.” This law applies to all drivers who are involved in reportable crashes in the state of Wisconsin. When an accident report is filed, it is assessed by the Crash Records Unit of the Wisconsin State Patrol. If all motorists involved in the crash are insured, no further action is taken. If the Crash Records Unit determines that a motorist is uninsured, other parties involved in the crash are notified. In 2017, uninsured Wisconsin drivers were involved in more than 18,000 motor vehicle crashes. Failure to respond will result in a one-year suspension to the operator’s driving privileges. Privileges are reinstated if the Department of Motor Vehicles isn’t notified of a pending lawsuit within one year of suspension. Drivers must also obtain an SR-22 certificate (proving insurance coverage) and pay reinstatement fees. In 2015, there were 4,647 notices of suspension sent to drivers/owners of vehicles in reportable crashes. Only 28 percent responded to the notice by settling the claim before suspension occurred. Wisconsin’s comparative negligence law means that responsibility for motor vehicle crashes is often shared. Fault is assigned based on a percentage of negligence. This means you can only recover damages if your level of negligence is not greater than the other involved driver or drivers. The involved parties’ insurance companies pay damages based on the drivers’ percentages of liability. For example, if you’re involved in a two-vehicle crash and you are found 30 percent at fault while the other driver is found to be 70 percent at fault, each driver’s insurance provider pays the corresponding percentage of damages. But what if the at-fault driver lacks minimum liability insurance and the costs of your injuries exceed your UM or UIM caps? 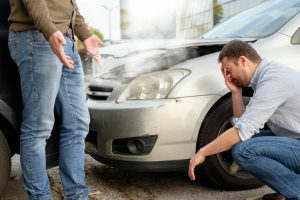 Depending on the specifics of your policy, you may be able to seek damages for a crash caused by an uninsured driver through your own insurance provider. Depending on the circumstances of your crash and the financial assets of the at-fault driver, you may be able to pursue compensation for medical expenses and other damages through a personal injury case. Depending on the specifics of your uninsured motorist coverage or additional coverages in your auto policy, you may also be able to seek additional compensation through your own insurance provider. Most people don’t read the pages of fine print that make up their insurance policies, and insurance companies may not be forthcoming about coverage benefits to injury victims. Insurance providers are in the business of making money, and they often attempt to limit what they pay to their own injured customers. If you’re hurt or a loved one is killed in a crash caused by an uninsured or underinsured driver, it’s advisable to discuss your situation with an experienced lawyer who can help you understand your options. Accidents caused by uninsured drivers shouldn’t result in financial hardship for injury victims, and Boller & Vaughan can help. Call our accomplished Madison injury attorneys today at 608-268-0268 or contact us online to schedule your free consultation. There is no obligation, and our lawyers work on a contingent-fee basis, which means we don’t get paid until we recover compensation on your behalf.